A program that combines the passion for cinema and food. 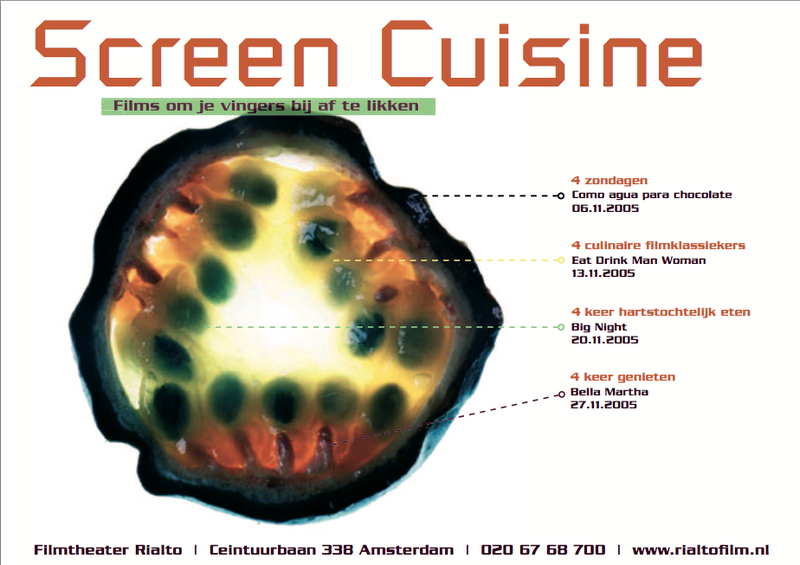 In November 2005, four editions of Screen Cuisine took place in co-production with Art Cinema Rialto and restaurant Balthazar’s Keuken. Inspired by the passionate culinary films ‘Como agua para chocolate’, ‘Eat Drink Man Woman’, ‘Big Night’, and ‘Bella Martha’, the chefs made a delicious surprise menu for a lunch before or a dinner after the screening. 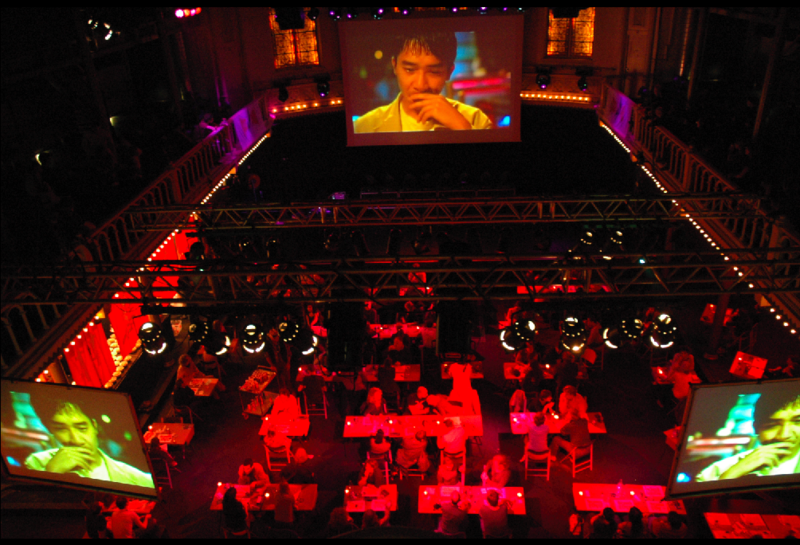 On October 22, 2006 the program took place at Paradiso during the Rocket Cinema Festival and the Amsterdam Dance Event, this time with the film ‘Tampopo’ from Japanese director Juzo Itami. DJ Alec Smart aka Streamer made a delicious new live sound track to accompany the film. On February 18, 2007 another edition took place. 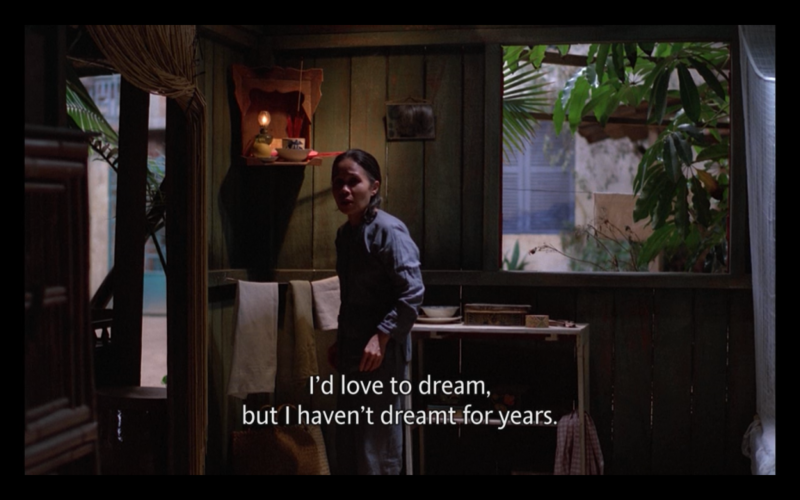 This time with the wonderful short film ‘Drake’ from Austrian director Christoph Rainer and the poetic main feature ‘The Scent of Green Papaya’ from Vietnamese director Tran Ahn Hung (photo above).